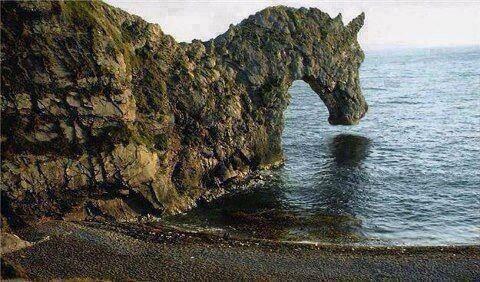 Claim: this is a photo of a horse-shaped rock aka The Art of Mother Earth or Sea Horse Rock Formation. The claim is false. This image is from a Worth1000 Photoshop contest. Contest entry: “Sea horse” by sugarcane. This hoax was also covered by Snopes.